Community leaders celebrated a joint school and YMCA being built in southeast Raleigh. The project on Rock Quarry Road will include pools, playgrounds, an athletic field and a 115,000-square-foot building. Representatives from the YMCA of the Triangle, Wake County Board of Commissioners and Wake County Board of Education attended the ceremonial groundbreaking. This has been a community effort, with several agencies and organizations uniting to make the project a reality in the area, which is seeing a lot of transformation. “We give a shoutout to all of those that have come before us to make this day possible,” said Wake County Public Schools Board Member Keith Sutton. Dexter Hebert, YMCA southeast Raleigh executive branch director, said it will be a place for the community to get healthy, connect and build relationships. “People see the assets in southeast Raleigh, people see the people here in southeast Raleigh and people want to be a part of our southeast Raleigh community,” Hebert said. Southeast Raleigh Elementary School will serve nearly 500 students. Esther Gaines has four children and lives in the area. She says children from the neighborhood will benefit. 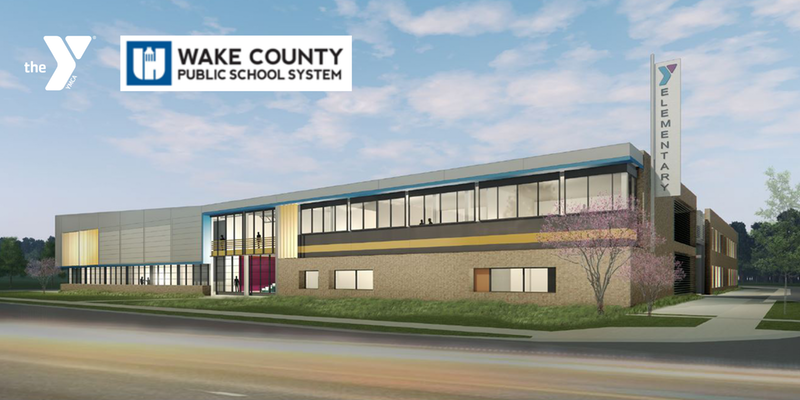 The school and Y are expected to open for the 2019-2020 school year. The entire YMCA Beacon Site project, which also includes mixed-income housing and commercial spaces, will cost $25 million. More than $19 million has been raised so far, said a spokeswoman for the YMCA of the Triangle. Donations are still being accepted. ‘It’s hard.’ Forum focuses on gentrification and mental health in Southeast Raleigh.